To begin with, just a little announcement. From now on I will have a new post about every other day, 3-4 times a week. 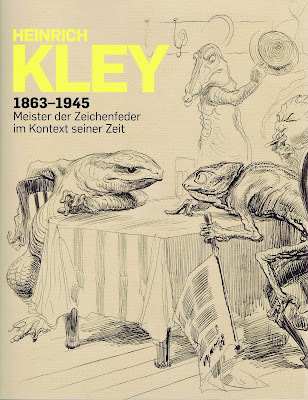 are currently on loan to a Kley exhibition in Hannover, Germany. I saw this exhibit earlier this year when it was in Munich. If any of you are near Hannover, go...no, run to check it out. The show is absolutely amazing, it closes on August 21. 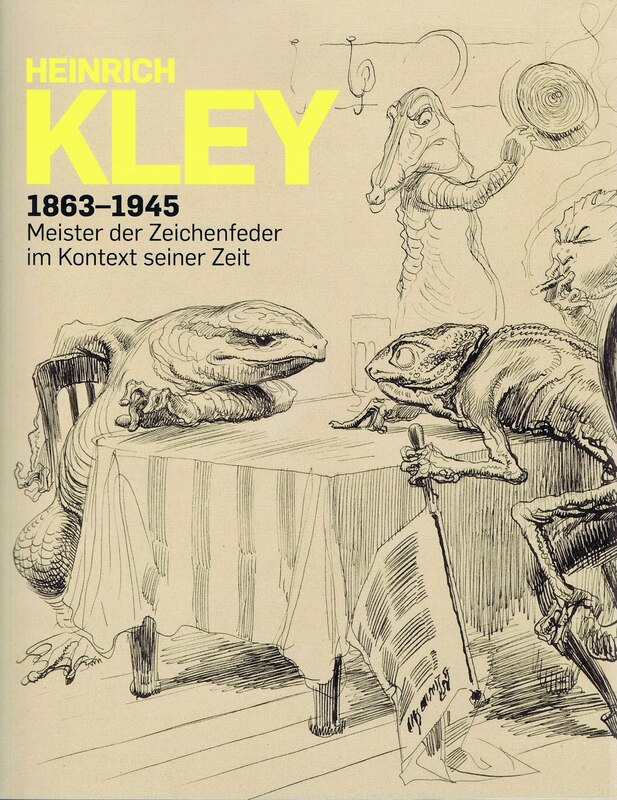 There are two Kley sketchbooks that are a must have. 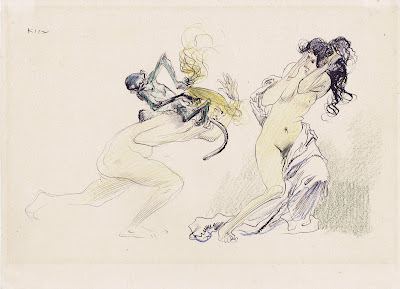 "The Drawings of Heinrich Kley" and "More Drawings of Heinrich Kley". Some art supply stores still carry them, also you can always find them on Ebay. The exhibit's catalogue is pretty nifty, too. 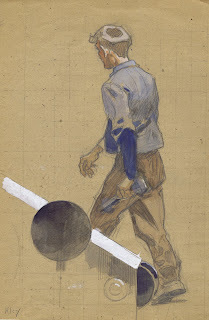 To me, Kley was doing with illustration what Walt was doing with animation. Making impossible characters and situations look completely plausible and believable. If elephants could ice-scate, it would look like Kley drew them. 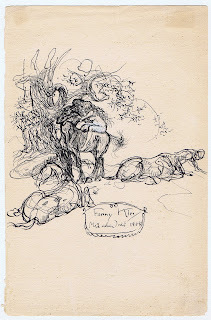 If centaurs existed they would move like in Kley's sketches, and so on. Joe Grant and I exchanged xeroxes of Kley drawings and drooled over them. I want to thank you guys for your interest in this blog. Over 60.000 pageviews in less than two weeks...not shabby at all ! Oh my gosh, these are so cool. I especially love the one with the monkey, LOL! Do what you gotta do... just know we love every post you let us read! Keep em' coming! I love Kley's drawings! I love the lines he draws with and the energy in his pictures. This is my favourite of his pictures. I love the beautiful flow in it. That last picture in your post is not at all like his other stuff is it? Was that done in a particular period in his life do you know Andreas? Some nice examples of his work here. T.S. 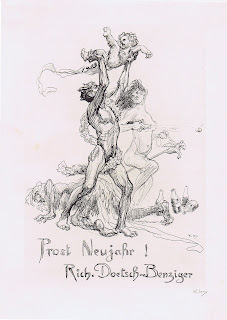 Sullivant AND Heinrich Kley, 2 days in a row!?!? Andy, Uli answered your question. 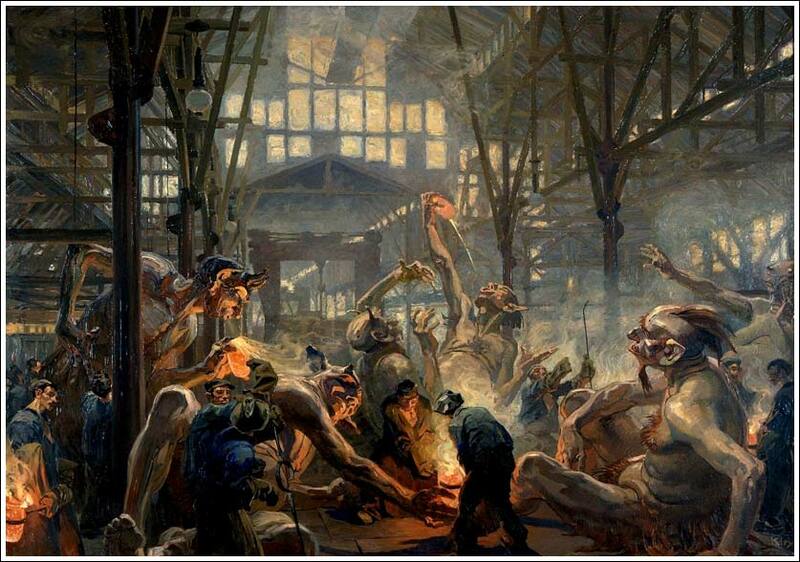 Uli, that painting is in the Hannover exhibition. I don't mind the posting I have been enjoying catching up on all the posts on this blog. It is a joy to come home and read a few before bed each night. The first image is absolutely amazing! My first thoughts are that Walt and Heinrich shared another character trait in that they both never lost that child like wonder for nature and the world. P.S. Jafar is my favorite character that you have animated. 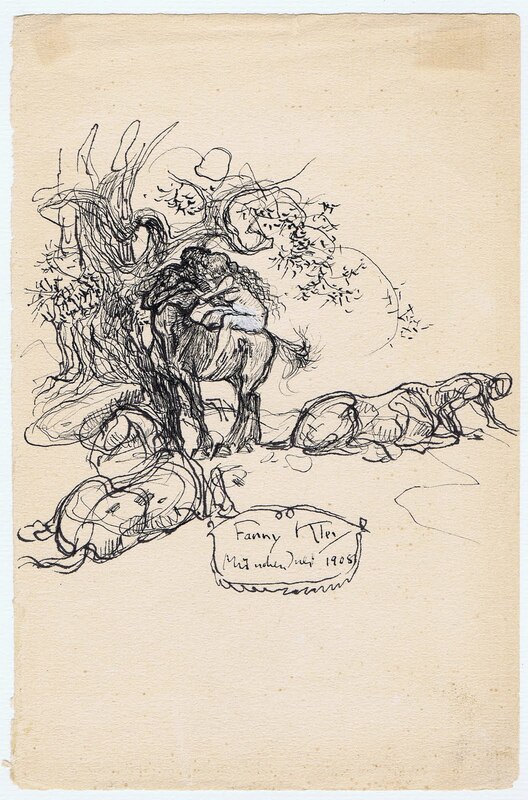 Thank you for bringing Heinrich Kley to my attention and for being a constant inspiration to a fan and aspiring animator. Lizards at the table, no words can describe the coolness. I bought those two Kley books from Dover Books during my first trip to New York in 1972. They cost $2 each (new!). Dover's website says "The Drawings of Heinrich Kley" will set you back $12.95. Every artist should own one. Thanks for publicizing Kley and Sulivant. We seem to have to do it every generation. 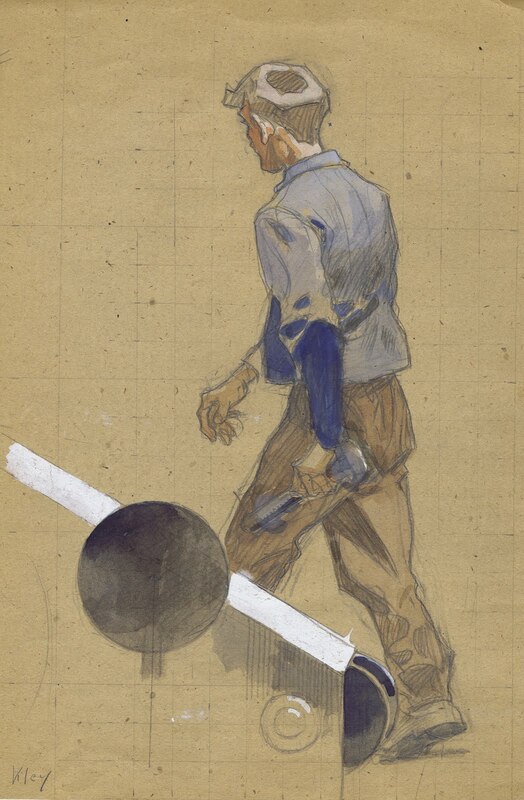 Great posts and I enjoy the Sullivant and Kley inspiration in your personal sketches too. Uli's Searle inspired drawings are amazing as well! Thanks again - wonderful work all by all. Andreas, this is wonderful! Thanks for letting me know about your blog, and thanks for sharing so much beautifully observed artwork - yours AND Kley's! I'll be checking back regularly. Naja, nichts desto trotz, ich war letzte Woche auf der Kley-Ausstellung im Wilhelm-Busch-Museum und sie ist wirklich der Hammer! Viele der Bilder kannte ich gar nicht. Und auch die Titel der Zeichnungen sind sehr amüsant! Leider stand nicht dran, welche Bilder aus Deiner Sammlung stammen. Am meisten aber hat mich gefreut, dass sie auch mein Lieblingsbild die "Kruppschen Teufel" ausgestellt haben! Da stand ich wohl zehn Minuten davor, bis ich endlich weitergezerrt wurde :) Das Wilhelm-Busch-Museum lohnt sowieso immer einen Besuch.